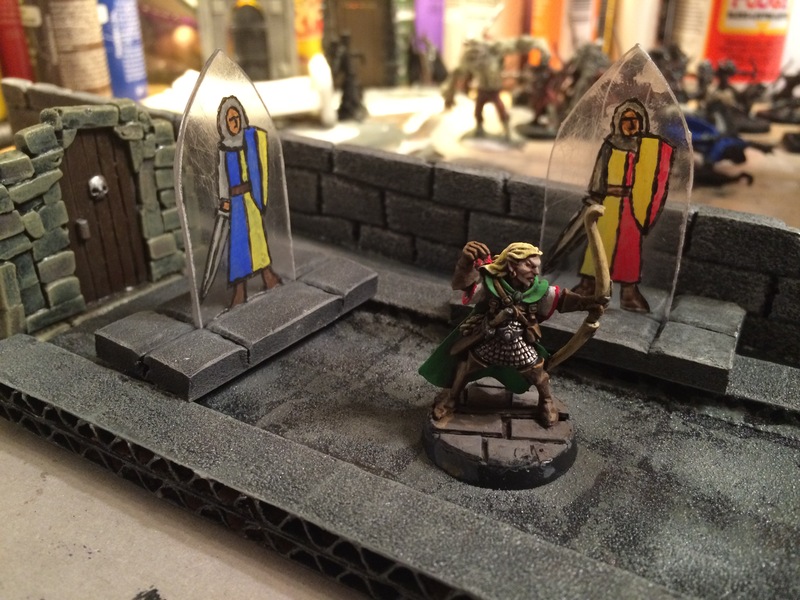 Stained Glass Golems for tabletop - PIC Heavy! Spoiler alert, "Shatter" spell is the opposite of "Mend", and it took 4 rounds for the party to figure it out and win the day. 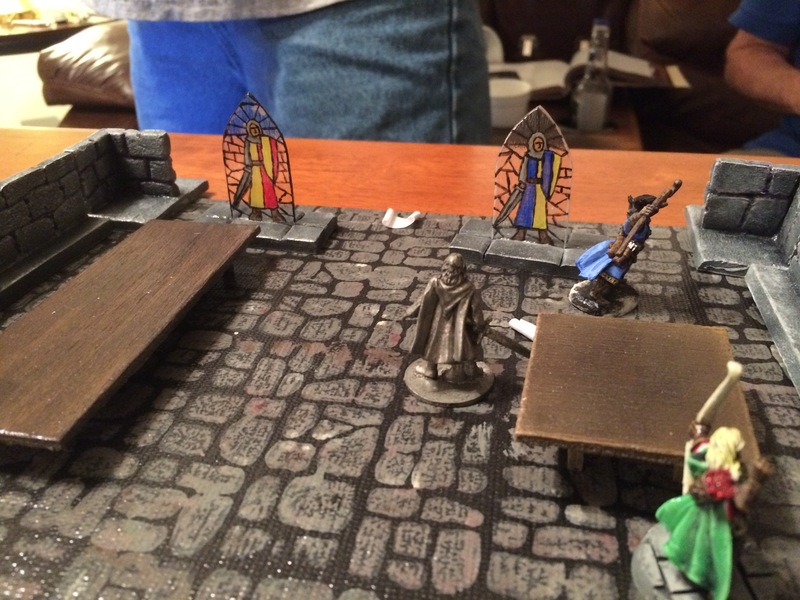 TPK another day I guess! P.S. Before you ask, I still havnt painted that Monopoly LOTR Aragorn, but thats another story. Those are really great! There was an official Stained Glass Golem(? ), back in 1e's Monster Manual II, or Dragon Magazine, or both. I'd have to look it up, but it was done back in the 80's. They actually stepped out of the glass pane, swinging their weapons. It was a cool idea, back in the day. Seeing someone make them up like this, is a neat flashback in time... Thanks for sharing! I don't think I ever used these monsters, but seeing this, is moving me towards that end. Well executed, accurate presentation, extremely playable. Great piece of work! Cheers! This was for a 3.5 campaign a while back, but I think they are in 4e, however I found pathfinder rules for glass golem and that worked fine. "Don't you mean adamanTITE dragon?" haahaa i remember this movie! very nice idea, and the design are so great! 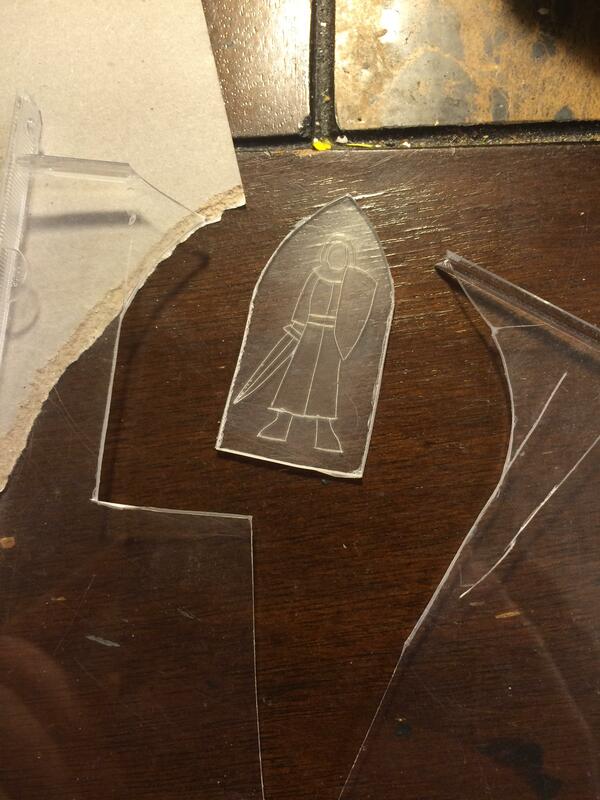 or alternatively you could just draw them and color them on shrinky dinks , much easier to cut , and you can get them in the shape of the golum , without the glass pane included . 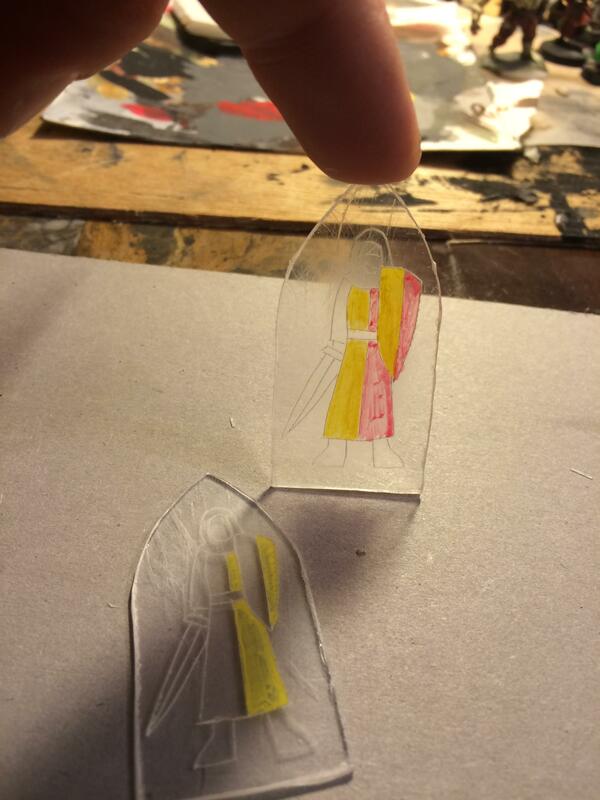 this also lets you do them in different sizes and use standard bases . I dont have a birthday ! I wasn't BORN ! I SPRANG fully formed from the forehead of GOD , as he contimplated a particularly vile joke ! @ erho: these look really well done. They definitely represent glass golems. I will have to add this technique to my list to try out.